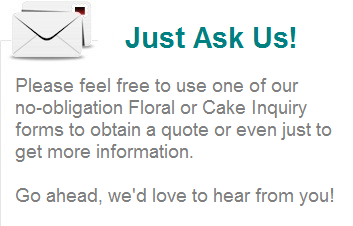 Please submit your floral inquiry, we'll respond ASAP! Please enter as much information as you can in the form below. If you've just a quick question maybe this simple contact form would be easier!